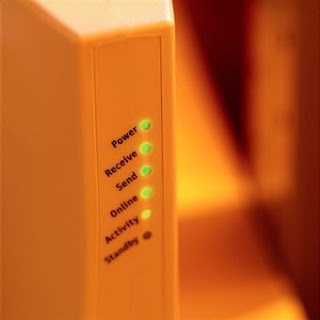 Wireless modem is a device that enables a user to access Internet when connected to a System. The Internet Service Provider (ISP) provides Internet access to the user through a modem. Wireless modems are preferred because of the portability and usability at distances. Wireless modems are helpful when more than one computer is used. The network is more compatible as physical cables and intricate mess of wires are avoided in wireless modems. The basis of wireless communication is the access point which enables the user to connect to a network through the desktop or other devices. Access point is basically a transceiver that sends and receives data through wireless devices. It is the point till which the modem or the router can be used. The modems can be assorted according to the range they cover, data rate, modulation factors such as Amplitude modulation, Frequency modulation, Phase modulation etc., GPRS (General Packet Radio Service), CDMA (Code Division Multiple Access), CDPD (Cellular Digital Packet Data) are Internet Connections that we come across in our day-to-day life. GPRS is a wireless connection that has data rates from 56 Kbps up to 114 Kbps. It provides Internet connection for mobile as well as computer users. CDMA is circuit based connection and uses dial up connection for Internet browsing. CDPD is a packet based connection which means the data is transferred in packets. Lan Cards should be installed for Ethernet connections which are costly. There is one Ethernet port in the computer, whereas there are more than one USB ports. There are several USB modem suppliers in the market. But before buying the USB modem ensure that the modem has proper security features, broad coverage, compatibility. The modems are available at different speeds. Check out for best Internet modem that can provide flawless Internet connections and less time-consuming during the access. Cell phones can also be used as a wireless access point for the user. If your cell phone has bluetooth access, you can switch on the bluetooth and start browsing the Internet . In case if the mobile phone does not have bluetooth, cables can be used to connect it through the ports in the desktop. Nowadays, most of the cell phones come with bluetooth. Before you can connect to the Internet, get information on the username and password from your mobile phone provider. After acquiring this information, the cell phone provider will render the Internet connection. After connecting the mobile phone with the computer, the USB modem software should be installed, if the modem is used for the first time on the desktop pc. Dial up connection box will be created in the network connection by the computer. The entire settings of the connection will be available in the window for further use. Wi-Fi is popular because of the wide range of its uses through devices. Radio frequency technology is used in Wi-Fi in order to provide Internet connection. Radio frequency waves range from 3 Khz to 300 Ghz. The range of Wi-Fi differs from place to place depending on the environment conditions. When the antenna comes in contact with these RF currents, an electromagnetic field is generated. These electromagnetic waves spread in the air and it contacts with the computer and thereby provides Internet access. IEEE Standards of Wi-Fi and its frequency range is mentioned below. 802.11g up to 54 Mbps in the frequency band of 2.4 Ghz. Wide Area Networks (WAN) helps us navigate from one network to another network without any break in the connection. WAN is a widely used application during traveling. Most of the wireless connections provide data speed around 28Kbps. Wireless connections have not yet reached the speed of wired connections, for this reason wired connections are still not neglected. Choosing the best modem with good data rate, compatibility, signal coverage is important. Still if you face any problem with your Internet connection, contact your network provider and get the problem solved. Hope this article gave you the relevant and useful information that you needed. you're reading my article in my blog Wireless Modem for Desktop and you can find something Wireless Modem for Desktop ini dengan url http://technologyfactory.blogspot.com/2011/11/wireless-modem-for-desktop.html, you can publish and copy paste for you Wireless Modem for Desktop it's very use full Wireless Modem for Desktop sumbernya.